The tiefling bard, Glor Ekemon Holl, rolls a ‘Deception’ check and successfully bluffs his hand, earning his party a hefty pot. 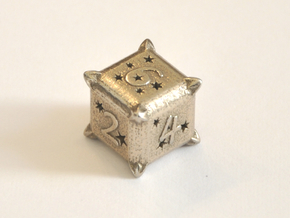 This dice is perfect for the gambler or charlatan of your adventuring party. Each side highlights a different suit inspired by the traditional ‘Bicycle’ playing cards. 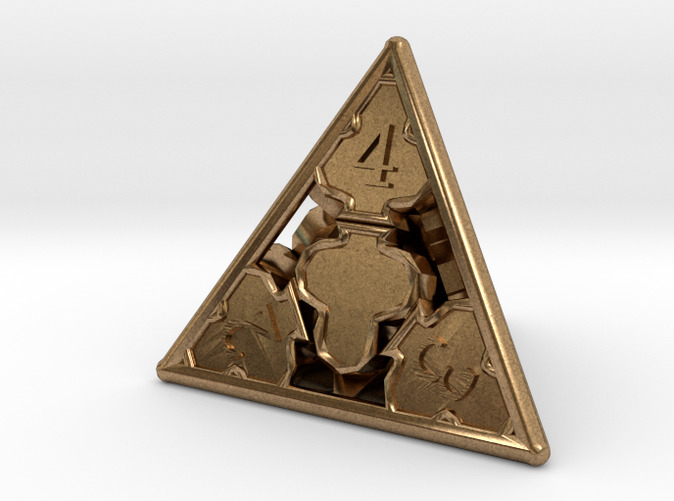 This is the regular gaming D4 in my 'Cards' design family of dice. 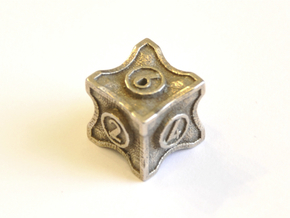 It is mathematically balanced in CAD software design to ensure that the die is centered and fair. 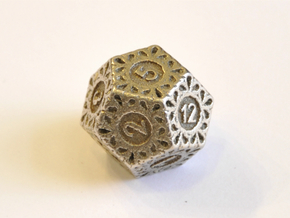 For the other dice to complete this design set, take a look at the 'Cards' category in my shop. If something you are interested in is missing, please send me a note. 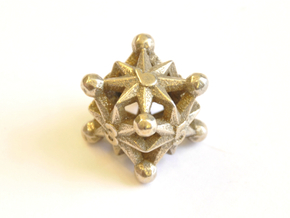 I am working diligently to complete the missing designs and am more than willing to prioritize designs of interest.